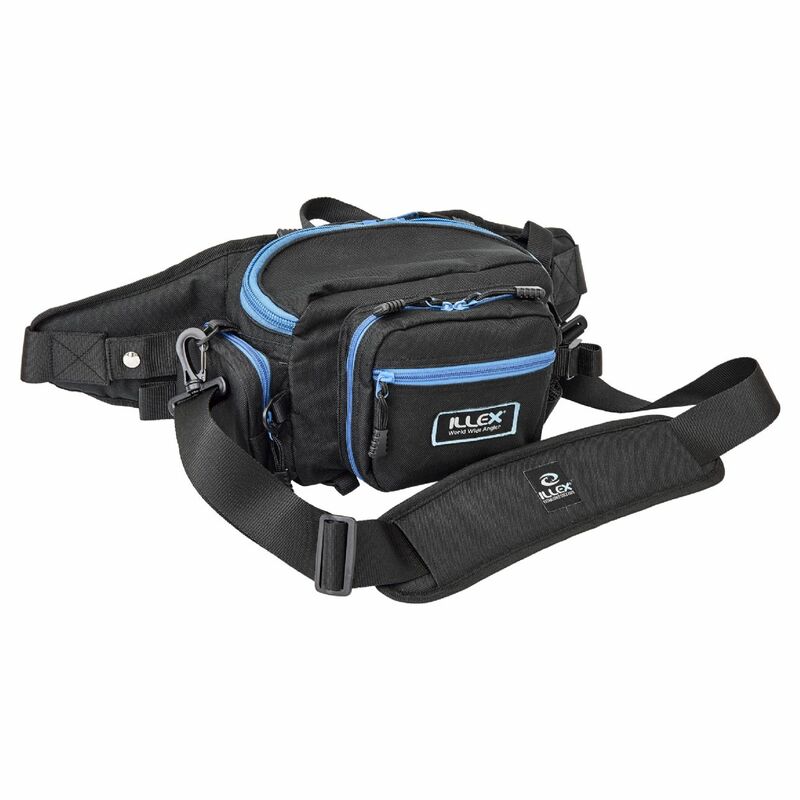 Illex Hip Bag is a light, but hard wearing comfortable hip bag for all roving anglers. Can also be worn as a shoulder bag. Fitted with a central compartment for lure boxes and accessories. Made from polyester 600D, soft lining, waterproof PVA Finish, adjustable and removable carry strap, main compartment for lure boxes, zipped and lined frontal double compartment storage pocket with an upper zipped pocket, a side pocket and a webbed pocket for a bottle. Compartments for split ring pliers holster, handy waterproof jacket attachment and rod holder for your Pliers, Lures and much more. Dimensions - 37cm x 15cm x 21cm. ILLEX products are top notice for serious anglers.